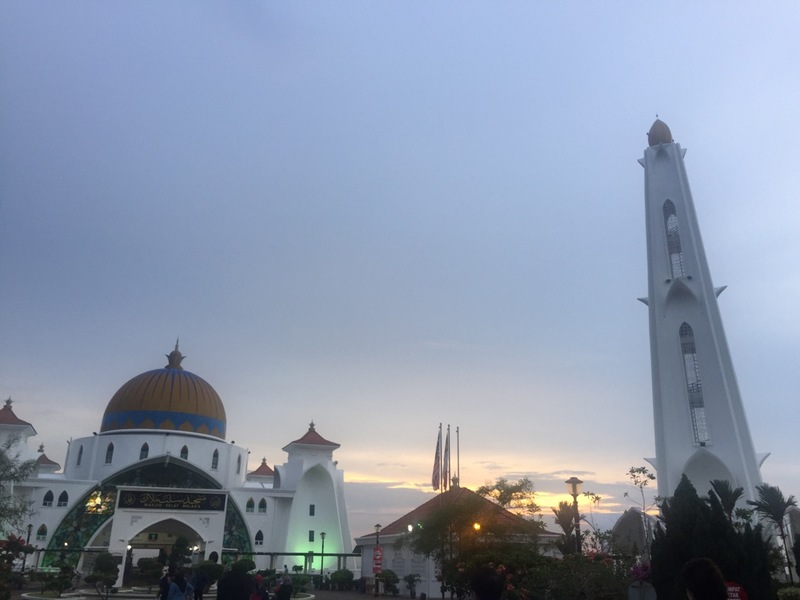 Melaka is located around an hour and a half by bus from Kuala Lumpur and is a popular weekend destination for those in the surrounding area. The biggest draw for this place (aside from it being very pretty) is the incredible night market that they run every Friday to Sunday until late into the night. We had managed to time our trip here for a Saturday and Sunday (completely by chance) which turned out to be really lucky as the market was probably one of the best we went to in Malaysia! 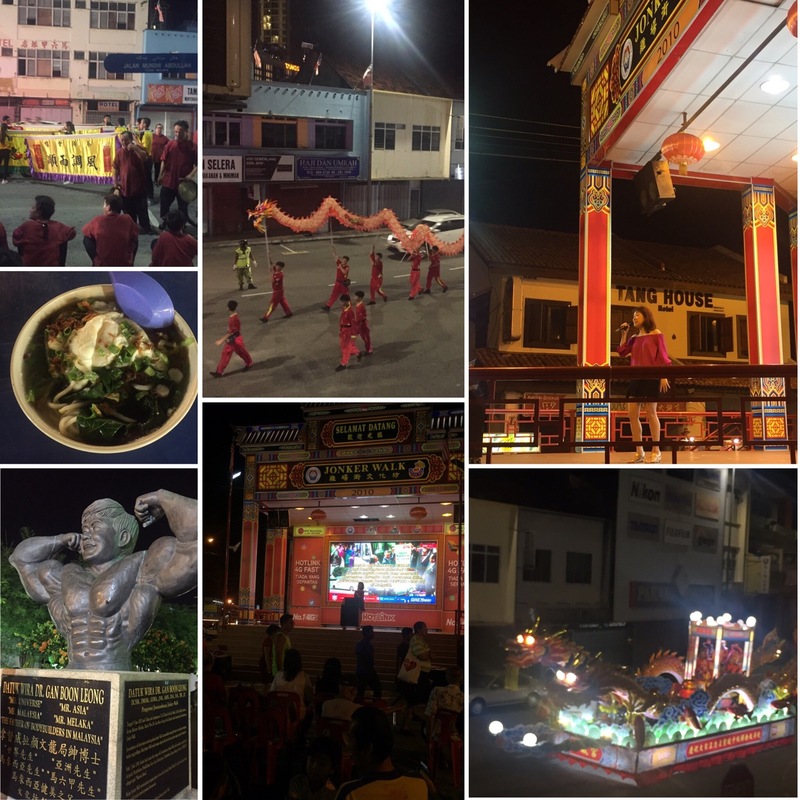 We arrived in the evening of Saturday 28th October 2017 and headed straight to see the night market. 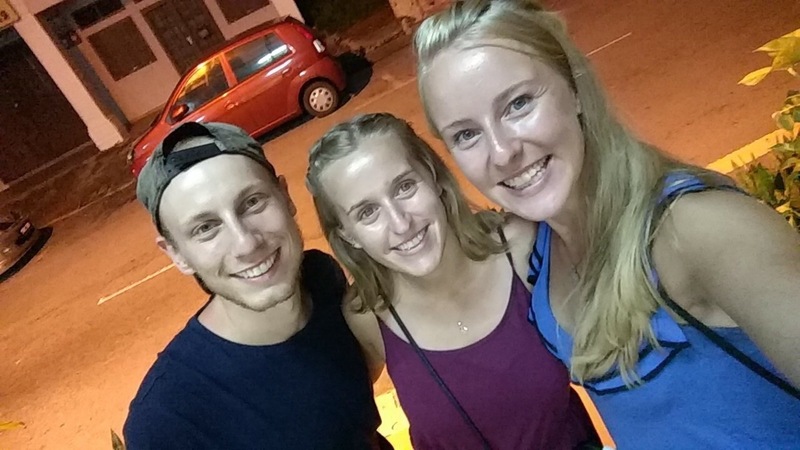 On our way we bumped into Roisin who we had met during our time on Langkawi Island and she became our unofficial tour guide for the night which really helped us get our bearings. We entered the market which was rammed with people, stores and noise. The market ran all along the two main streets in town and sold everything from coconut shakes, noodles, pastries and fruit to t-shirts, bags, phone accessories and hats. We headed to a small courtyard that was full of food stalls to get some tea that evening as we were starving from our day of travelling. As has become a regular occurrence for me, I had the noodle soup on the menu modified for me so that it would be vegetarian and it was delicious with a lot of extra vegetables courtesy of the lovely lady who made me it! We sat and chatted with Roisin before we all carried on looking around the market. Probably the funniest thing about the market was the centre of it where the two streets that housed all of the stores crossed. Why? Because of the giant stage and karaoke that was being held there. There were seats in front and then a huge screen and people would go up and have their fifteen minutes of fame. On our way back to the hostel that night we also saw the end of another Chinese parade – we must have picked parade season to visit Malaysia – but as it was coming to an end we just watched from our hostel window. 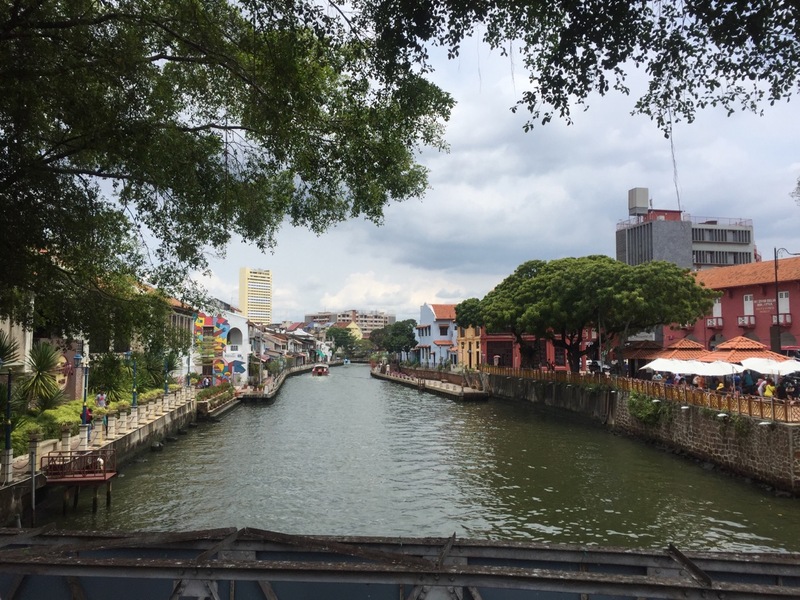 Melaka runs along a river and, if you forgot you were in Malaysia you’d more likely think you were in Amsterdam. This isn’t completely by accident though as there is a massive Dutch influence in the area from when their was a colony here and it’s still shown in their buildings and the abundance of bakeries and pastry shops around. 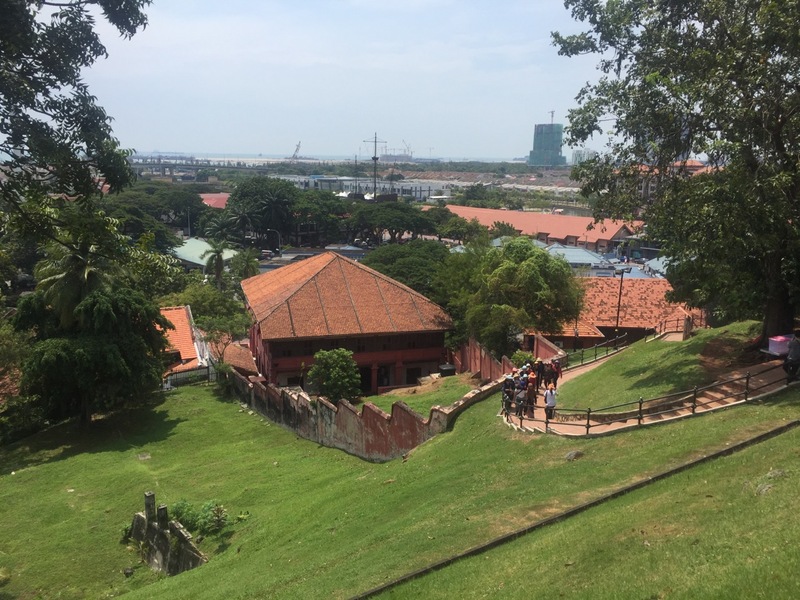 Our time in Melaka was very relaxed, mainly as the place was quite small and we had previously had a very busy couple of weeks. We started the day by looking around town which has its focal point in the Dutch Square. This was a cluster of red buildings (which are mainly museums now) surrounded by a big foundation. From here you can go up a hill to St Paul’s Church which is a ruin of a Catholic church that once stood here. It’s worth a visit at it gives you a nice view and it’s interesting seeing the former Christian influence in the area. 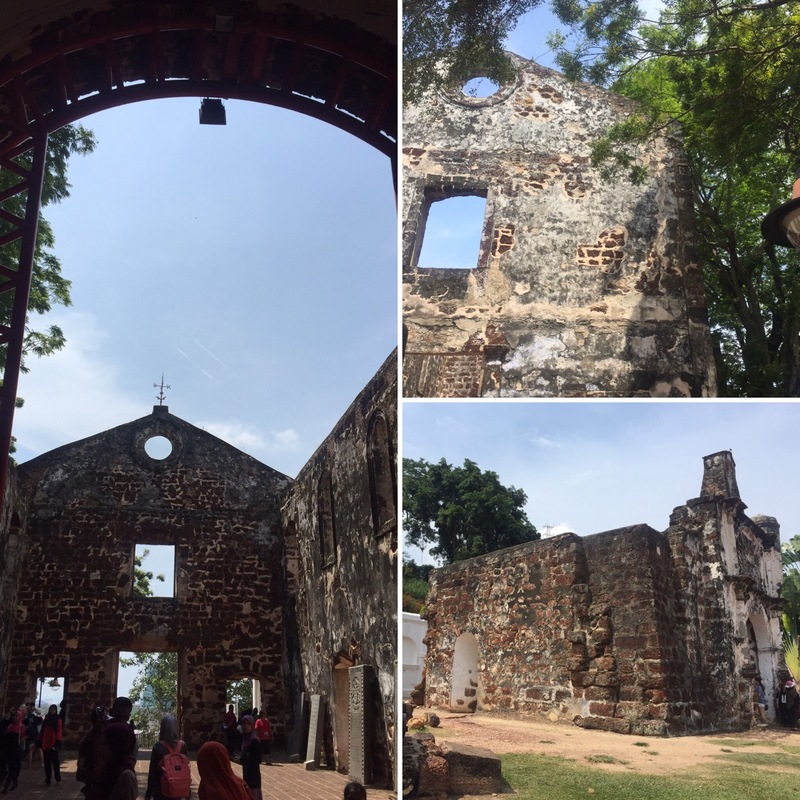 The ruins are over 150 years old and they were constructed by a Portuguese captain called Duare Coelho as a thank you to the Virgin Mary for saving his life during a storm at sea. There is also a statue of St Francis Xavier which only has one hand that stands with the church. It is said that to make Francis Xavier a saint, his hand had to be sent to the Vatican as proof of death meaning he was buried without one of his hands. When the statue was built at St Paul’s, it is said that a storm knocked a tree down which in turn broke off the same hand on the statue! 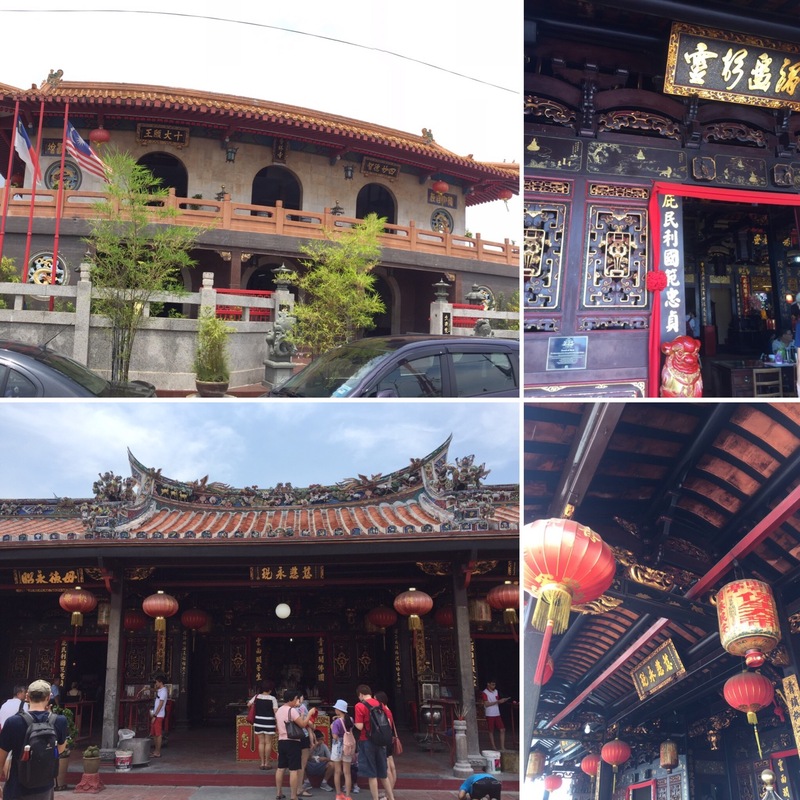 We spent the two days we had in Melaka walking around and taking in our surroundings whilst returning to the night market each evening for tea. 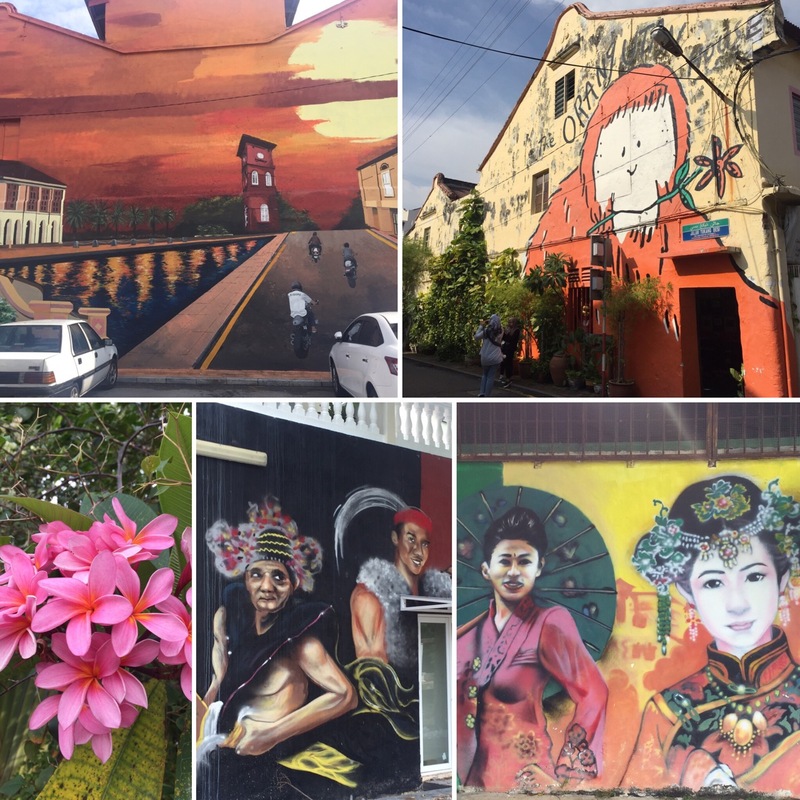 There were old temples, street art and the beautiful river to keep us busy during our leisurely days here. 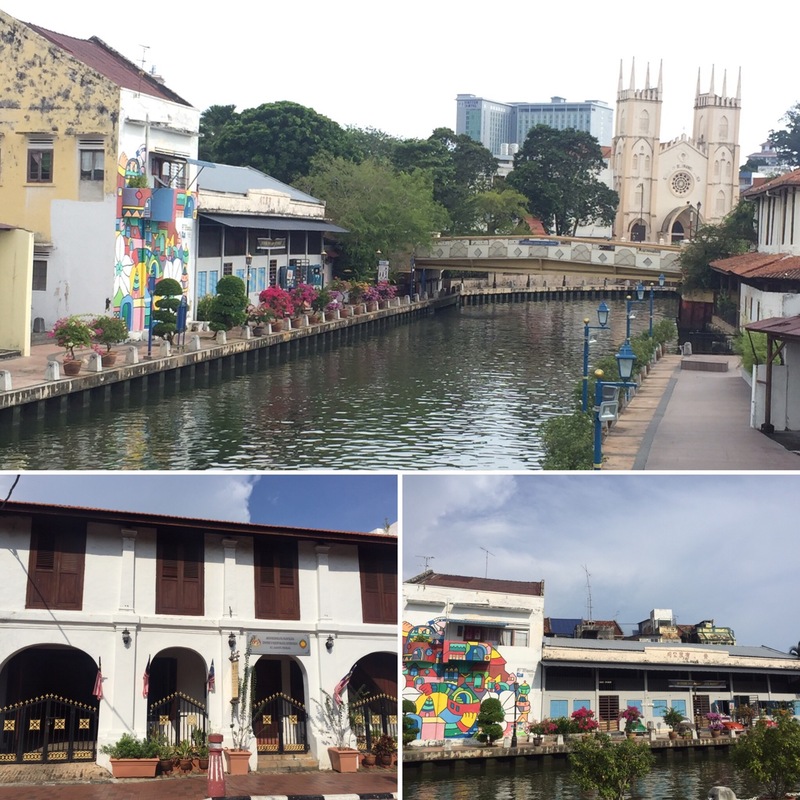 Walking along the river was really pretty with the odd colourfully painted building, bright flowers and small bridges. 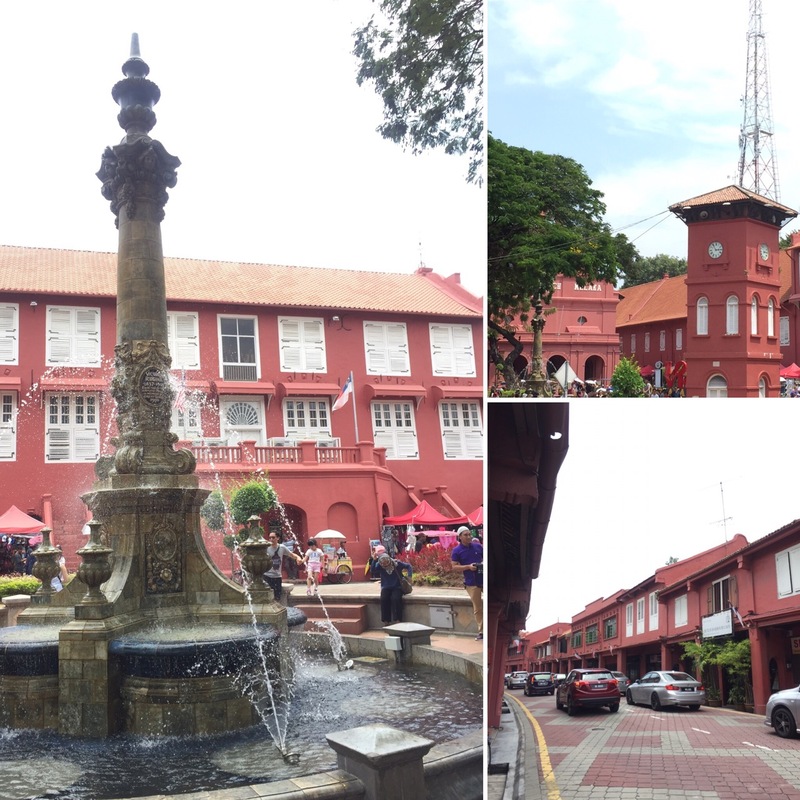 I never expected there to be somewhere like this on our trip of Malaysia and it was nice to see the colonial impression being adopted by this place in such a positive way. Melaka is another place in Malaysia known for its good food. The night market was great for this as we were able to try tasters of juices and pastries and then we were able to spend relatively little money on trying other things too. On our second night there, myself, Niall and Roisin wandered around the market hunting out all the tasters and deciding on what to try. We tried little cream filled pastry puffs which were very nice. Me and Niall tried banana and chocolate filled ones but Roisin tried Durian as she hadn’t had it yet on her trip. I think she didn’t mind it but you’re meant to eat the pastry puff in one bite so it may have been quite a strong flavour for her! We also tried these really nice coconuts shakes which had been recommended to me by a girl in our hostel in Ipoh. They had big scoops of coconut ice cream on too and were really refreshing, we even managed to haggle on the price which always makes things taste better! Whilst in Meleka we also made sure to try popiah which is a Malaysian version of a spring roll. Our lonely planet guide had recommended a place to try it called Poh Piah Lwee. We went there one morning and we weren’t disappointed! They make them fresh from scratch so they were able to make me a vegetarian one (it traditionally has pork in) and they only cost 3 ringgit each (£0.50) which was a bargain as they were very filling. We tried to get these again during our stay but the shop was closed which was a shame as they were really tasty. Whilst we were there, as it was just after my birthday we went on the hunt for some birthday cake. 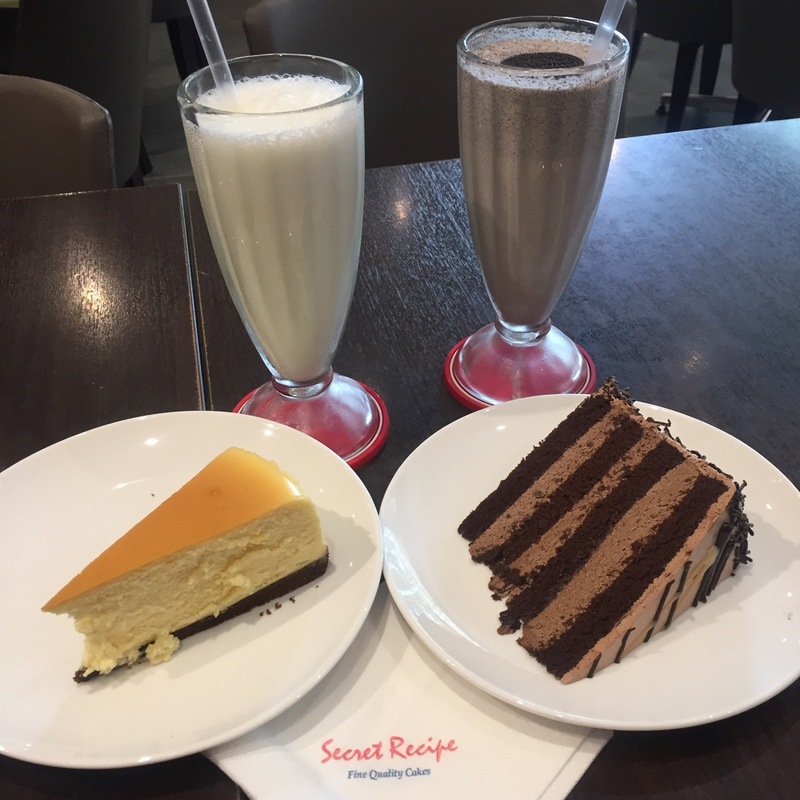 There is a chain store in Malaysia called Secret Recipe which specialises in cakes and a mall in Melaka had one. We bought Oreo and Vanilla milkshakes, a piece of chocolate fudge cake and a piece of New York cheesecake, all of which were delicious and cost us less than £10! It was nice to be able to get cake on my birthday as we hadn’t managed to whilst we were in Bali for my last birthday – it’s funny how those little things can be so important and special. It was lovely to sit and chill, reminiscing about our trip so far and just doing something so normal and non-touristy. 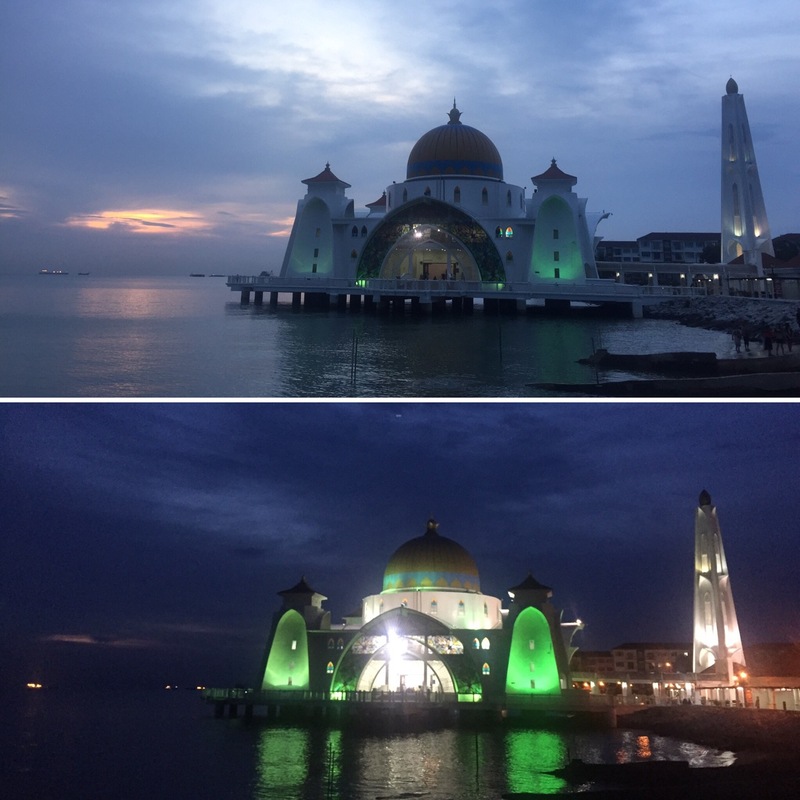 On our last evening before heading back up to Kuala Lumpur we got a taxi to see the Melaka Straits Mosque which is located a bit further out from the main town on the waters edge. We went to watch the sunset as we had heard that this was the best time to go to the mosque and it really was lovely. The mosque is very grand and sits on stone columns in the water. I don’t know how high the water can get but I imagine it sometimes looks like it’s floating! They light up sections of the mosque green which looks lovely once it got dark. There wasn’t much of a sunset, it mainly just dimmed to darkness, but we were still happy to have gone and seen it as it’s very pretty. 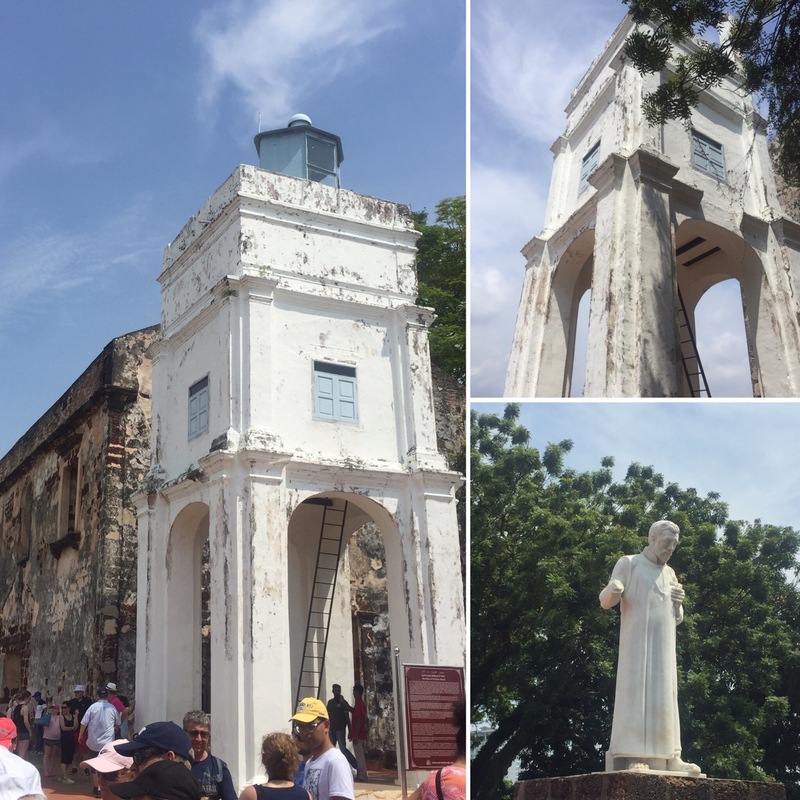 We really enjoyed Melaka even though we did relatively little here. It was lovely to have bumped into Roisin and we thoroughly enjoyed the night market in the evenings. Saying that, only come over a weekend because even though it’s a lot more crowded, Melaka doesn’t really have too much to keep you occupied and so you need the market to fill your evenings with and make things a little bit more fun and interesting. It’s not hard at all to see why this place is such a popular weekend destination with the city dwellers in Kuala Lumpur! Nice post and great pics, I miss Langkawi and Malaysian food! I haven’t been to Melaka, however it looks great. Thanks for the advice. We did go to one market there and the food was amazing, so I will be up for this! Maybe next time you could visit the south in Johor there’s a few island there with clear blue water. Hope you enjoy your stay in Malaysia. Great blog!